This Korean beauty staple is not for minimalists. With a laundry list of components and an 8-word official name, Missha Time Revolution Night Repair Science Activator Ampoule promises glowing skin in a jelly cocktail of peptide, botanical and fermented ingredients. As one of a handful of Korean skincare products I’ve been experimenting with, Missha’s Time Revolution Night Repair Ampoule caught my attention because of its cult-like status and accessible price point. 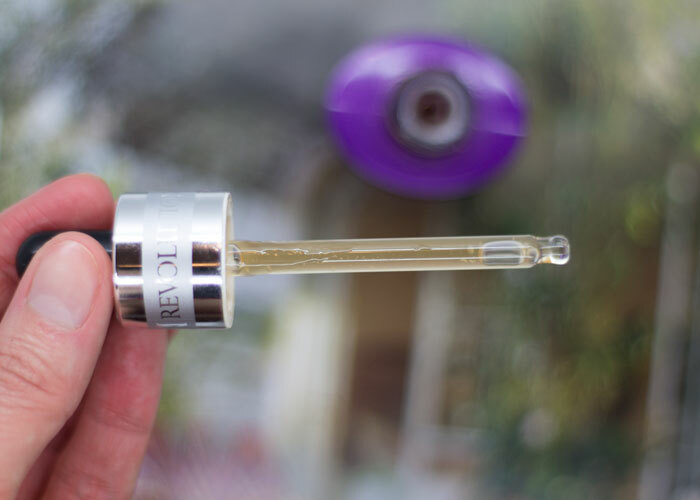 For $49, you can try a true serum that’s often compared to Estee Lauder’s infamous Advanced Night Repair (or as many Koreans call it, “brown bottle ampoule”) while getting a taste of the K-beauty craze. While it’s difficult to speak to bullet No. 2 (aging just … happens), I can absolutely vouch for every other bullet on this list. 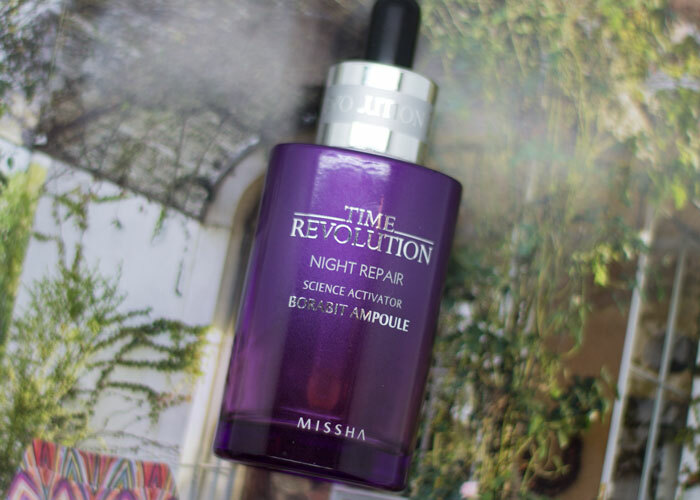 Missha Time Revolution Night Repair Ampoule delivers in so many ways, and my experience revolved around the extra cushion of hydration it supplied my skin. Within my evening routine, I used Missha Time Revolution Night Repair Ampoule as step No. 4, my serum, in an ultra-hydration focused bedtime ritual. This serum played a huge role in keeping random flaky patches at bay during a Midwest winter, and I very quickly noticed a difference when I quit using it (in order to move on to other products). I tested this during a period of extreme discomfort in my skin. I’d wake up with dry patches that made my makeup look flaky and horrible. Within just a few weeks of using this (and regular acid exfoliation), my skin was improving and looked less dehydrated. After a full month of using this — along with the beauty of natural, 28-day-skin rejuvenation cycles — my skin looked awesome. Overall, my skin spent about 12 weeks with this serum not because it took that long to see improvements in texture and comfort, but because I truly enjoyed using it and didn’t want to stop. During my testing time, I would dispense about half a pipette and massage it all over my face and neck. The texture is truly jelly-like but not sticky. It doesn’t make any strange white, frothy messes like some serums do, but instead glides around and then sinks into the skin, leaving it luminous and touchable. When I was feeling gluttonous — or that my skin was in need of a little more — I’d use a full pipette and make sure to be very generous about bring it further down my chest for max hydration. In warmer weather, you could probably get away with using just this at night. In winter, it’s a wonderful nighttime layering product in between hydrating mists and creams, enhancing both texture and bounce. Because Missha Time Revolution Night Repair Ampoule contains a small amount of retinol, I’d advise only using it at night. Plus, you’ll get more out of it. As you scan this very long, crazy-looking ingredients list, you will see many familiar ingredients (niacinamide, extracts, oils, peptides and fermented stuff), but you will also find things like dimethicone and PEGs. This isn’t exactly a natural or green product, but it’s one that marries a lot of different skincare technology and philosophies into what’s, to me, a high-performance product. I’m openly exploring Korean beauty products right now and taking as clean of an approach to the category as possible, but don’t be shocked if you see mentions of products that don’t exactly fit the purest standards of green beauty. There are shades of green and clean, and mine tends to be more in the middle these days. In my K-beauty exploration, I’m focused on finding hydrating serums and bouncy creams that work for my combination / oily, acneic skin type. If you have recommendations for greener beauty products that fit this bill, send ’em my way! As for Missha Time Revolution Night Repair Ampoule? It’s one I’ve recommended to friends who are searching for something similar and is one I’d repurchase, easily. What are your favorite jelly serums? What green beauty serums and creams are you loving? Have you explored any Korean beauty products yet? Tell me in the comments!